View the full 2018 Darlington Raceway Penalty report below. Following the Monster Energy NASCAR Cup Series race, lug nuts are inspected on the way back to the garage area. The No. 42 Chip Ganassi Racing machine was found in violation during the inspection at the front end of the pit lane. Kyyle Larson drove the car to a 3rd place finish at Darlington on Sunday. He was found to have one lug nut not properly installed in post-race inspection. That’s a violation of Sections 10.9.10.4 in the NASCAR Rule Book. The #42 crew chief, Chad Johnson was fined $10,000 for the infraction. In addition, NASCAR issued an L1-level penalty to the No. 19 Joe Gibbs Racing team in the Xfinity Series for failing pre-race inspection multiple times at Darlington. That’s a violation of rule Section 8.7.b. As a result, the team lost 10 driver points and 10 owner points. 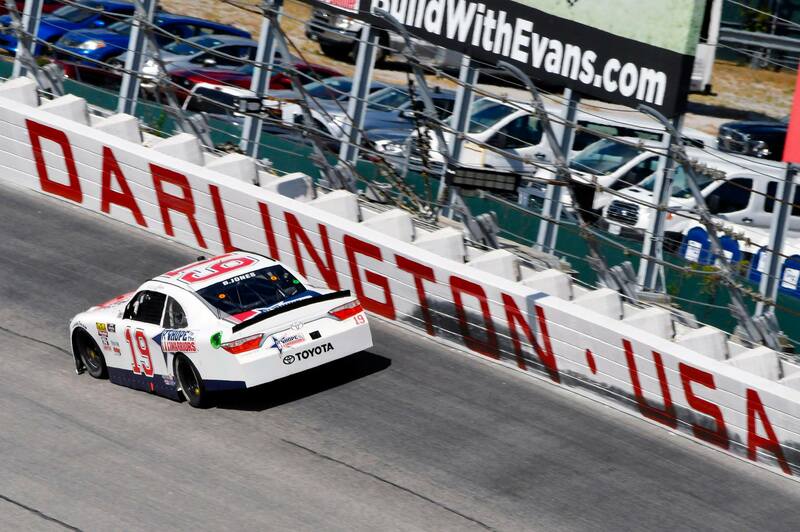 Brandon Jones drove that car to a 12th-place finish at Darlington Raceway and is seventh in the driver standings with two regular-season races left.